Whether you need minor repairs, a full roof replacement or help filing a roof insurance claim, we've got you covered. Let us show you what happens when excellent roofing meets exceptional customer service. Let us handle all your residential roofing repairs and replacements. We work with a wide range of materials from the leading roofing manufacturers. Our staff is experienced in many different types of commercial roofing repairs and replacements. Let us take care of your business. If your home has been damaged by a storm, we are here to help with the repairs. We Specialize in Roof Damage Insurance Claims. Upgrade your home or business to a metal roof and experience the difference a strong durable roof can make. We offer a variety of metal roofing styles and materials. 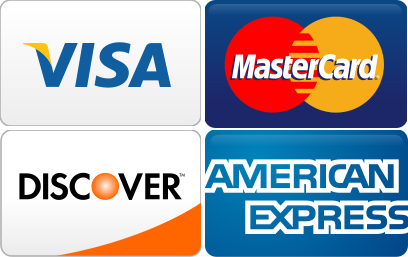 We Provide A Variety Of Top Quality Services. If your roof is failing and you need a roofer in Augusta, GA, contact the office of Raborns Roofing & Restorations at (706) 814-3207 to hire a skilled professional roofer who understands the importance of customer service. Our staff is committed to making sure our customers have the best possible roofing experience. We are a fully licensed and certified roofing company and we install only the best roofing materials from the leading roofing manufacturers. Whatever roofing problem you may be facing, we’ve got the expertise and knowledge to help you resolve it, and we guarantee to keep you in the loop regarding all necessary repairs or installations. As an honest roofing company, we promise never to overcharge you or charge you for repairs you don’t actually need. Contact our office today and experience what happens when reliable roofing meets exceptional customer service. Commercial roofs come in a variety of sizes, shapes, inclines, and materials. At Raborns Roofing & Restorations we are prepared to repair all types of commercial roofing problems. Call (706) 814-3207 for your commercial roof needs. Flat Roof Repair & Installation Our staff is experienced in all types of flat roof repairs and installations. Built Up Roof Repair & Install Built up roofing provides your commercial building with excellent protection against the elements. There are many things that can go wrong with your residential roofing. The original roofing on your home eventually wears out and your roof can be damaged by storms. Sometimes you just want to increase the curb appeal of your house by installing a new style of roof. Whatever the reason for seeking a residential roofer in Augusta, GA, the staff at Raborns Roofing & Restorations is here for you. Call our office today at (706) 814-3207. 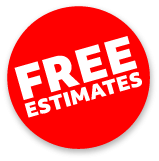 Roof Replacement When your old roof looks worn, call us to schedule a free estimate. We will advise you on replacement options. Roof Repair If you need repair for missing shingles, inferior pipe vent boots or a failing ridge vent, call us for a free estimate. Asphalt Shingle Roof Repair & Replacement Asphalt roofing is the most common residential roofing material on the market right now. Soffit & Fascia Repair It is important to maintain your soffits and fascia boards, as well as your . Gutter & Downspout Repair If your gutters are not working properly, it can lead to soffit and fascia damage. Severe weather can wreak havoc on your roofing system. No matter how durable your roofing material is, there are just some storms that are stronger than your roof. When that happens, and you need a reputable roofer in Augusta, GA who knows how to make necessary repairs for hail and wind damage. Raborns Roofing & Restorations is an insurance claims specialist that works for the homeowner to negotiate the value of your roof. Contact us at (706) 814-3207 to schedule and estimate. We are more than happy to assist with your storm damage repairs. Emergency Roof Repair We are available 24/7 to remove trees or tarp up damaged and leaky roofs. Hail Damage Roof Repair Hail damage can sometimes be hard to spot. Call our office and have one of our roofers complete an inspection. Wind Damage Roof Repair If wind has blown parts of your roof onto your yard, call us to complete the necessary repairs. Roof Damage Insurance Claims After a big storm damages your roof, let us help you negotiate with your insurance company. If your low slope or flat commercial roof is showing signs of age or damage, consider installing a layer of single ply roofing. These roofing membranes can be installed directly over the original roofing material and they provide your building with excellent weather protection. Many of them are designed to increase the energy efficiency of your building. If you wish to speak to a roofer in Augusta, GA about installing a single ply roofing membrane on your roof, call our office at (706) 814-3207. TPO Membrane Roof Repair & Replacement For a roofing membrane that is durable and long-lasting, TPO can’t be beaten. EPDM Membrane Rubber Roof Installation When you need to waterproof your roof, EPDM roofing is a great choice. PVC Membrane Roof Repair & Installation PVC roofing membranes are designed to increase the energy efficiency of your building. When the time comes to replace your old traditional roofing material, you may want to think about installing a metal roof. Metal roofs come in a variety of color and style choices. They provide your home with excellent weather protection and have extremely long functional lifespans. Contact the office of Raborns Roofing & Restorations at (706) 814-3207 to speak a professional installer today. Stone Coated Steel For a roof that looks like ceramic tile, but is as strong as steel, consider a stone coated steel roof. Corrugated Metal Roof Installation Corrugated metal isn’t just for barn roofs anymore. 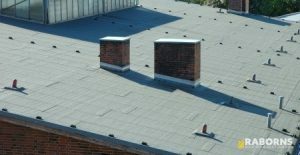 It has grown in popularity as a residential roofing material. Metal Shingle Roofing Metal shingles allow you to have a traditional style roof with increased durability. If you’re a homeowner, you understand the importance of maintaining the property value of your house. Unfortunately, this doesn’t happen on its own and requires a lot of work and repairs. Raborns Roofing & Restorations offers home restoration services to help you keep your home in the best possible condition. If you need help with a big project, contact our office today at (706) 814-3207. 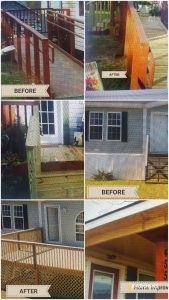 Deck Repair & Construction Our staff can build you a brand new deck for your home. Fence Repair When you need fence repair, our staff is here to help. Vinyl Siding If you’re home needs new siding, consider upgrading to vinyl. Replacement Window Installation New windows can increase the energy efficiency of your home. Pressure Washing Maintain your siding and deck materials with an annual pressure wash. Kitchen & Bathroom Remodels We can help you build the luxury kitchen or bathroom you’ve been dreaming of. Raborns Roofing & Restorations is committed to excellence. We strive to provide our customers with the best possible roof in the industry. Between our professional roofing installation and repair services and our exceptional customer service, we believe our staff is fully prepared to meet all your roofing needs. Whether you need a roofer in Augusta, GA to replace your residential roof or you just want to talk to someone about the benefits of installing a new metal roof, we’ve got you covered. Let our friendly, reliable roofing staff handle all your roofing needs. Contact our office today at (706) 814-3207 to schedule your next roofing appointment. We look forward to doing business with you. Updated on September 25, 2018 at 7:00 pm by Raborns Roofing and Restoration.